"Changing lives one note at a time." 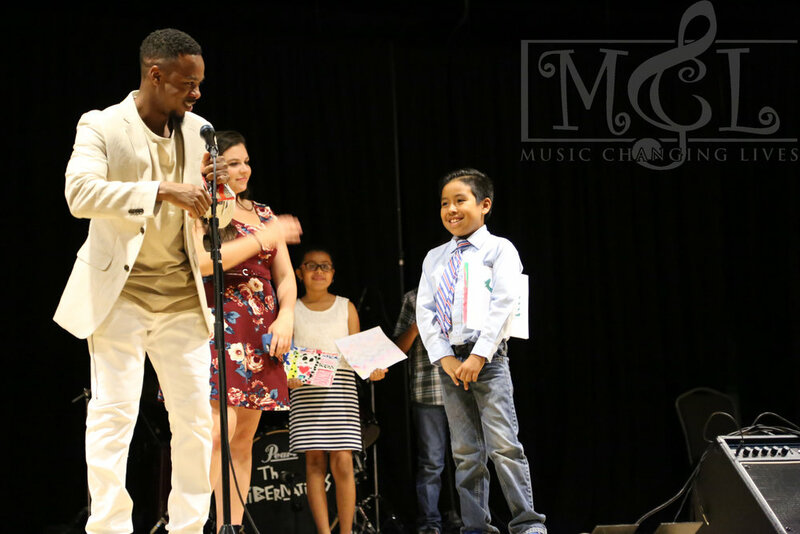 The purpose of Music Changing Lives (MCL) is to give underserved children the opportunity to engage musically and artistically through our programs, while reinforcing the need to stay in school and focus on their education and their future. Our key programs include music lessons, art lessons, tutoring, mentoring, financial literacy and cultural experiences as incentive programs. We believe music and art are fundamental components of human culture and behavior. Sadly, many students living in the underserved communities we serve have little or no access to the arts due to the reduction in funding. There is a dire need to empower minority and low-income youth through arts education by going beyond an integrated classroom approach. well-rounded and productive individuals within society.